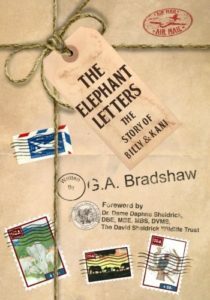 The Elephant Letters tells the moving story of Billy and Kani, two African Elephants. While they were born on the same day, the two young cousins live very different lives. Kani roams the Kenyan savanna with wild Elephant herds, struggling to survive the onslaught of poachers and other humans. His cousin Billy lives in a zoo facing loneliness and hardship after being orphaned and taken from Africa. The cousins’ letters to each other over the years provide a unique, inside view of Elephant lives that invites children and adults around the world to learn about Elephants and how they can help save this magnificent species.